Eleven Islamic State affiliated terrorists have killed during an Army offensive in storm-ravaged Mindanao. Airstrikes and ground assaults have been launched in a remove village near Carmen, North Cotabato, over the last two days. Eight were killed when the Philippine Airforce opened the offensive in the village of Tonganon, where Bangsamoro Islamic Freedom Fighters (BIFF) and foreign jihadists had been detected. Three others died when the Army clashed with forces of Esmael Abdulamlik, alias Abu Toraife. The slain fighters were immediately buried by their companions while others were taken by relatives for burial. Four soldiers were injured while a militiaman, identified as CAFGU Proseso Lacuesta, was killed. The Army also captured what appeared to be a BIFF training camp. BIFF is a band of Moro rebels turned bandits that pledged alliance to the Islamic State and is allied with the Maute Group and Abu Sayyaf. Army spokesman Major General Arnel dela Vega said the air strikes began on Thursday (December 21) were launched after the militants were detected in the village as a preemptive measure to prevent them attacking civilians. Military ground assaults were conducted yesterday amid heavy rain as Tropical Storm Vinta that lashed Mindanao, particularly North Cotabato province. The weather forced the suspension of air assaults. 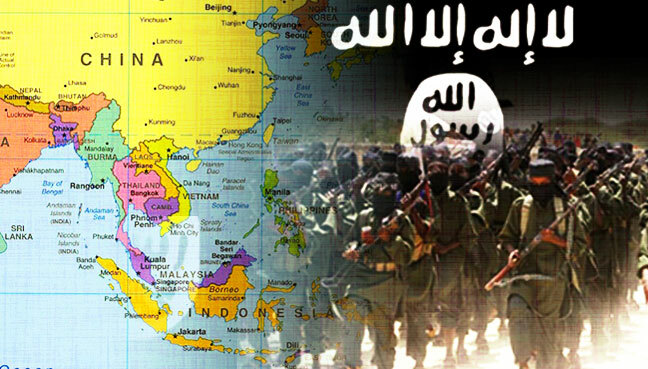 Meanwhile, it has been reported that Malaysian police have detained 20 alleged Islamist militants, including a leading member of an Indonesian extremist group and others believed to be planning to fight in the Philippines, authorities said yesterday. They were the latest arrests of alleged extremists in Muslim-majority Malaysia, as fears grow that battle-hardened jihadis might be returning to Southeast Asia after losing ground in the Middle East. The arrests were made in separate raids across the country from late November to mid-December, police said in a statement. Among those detained was an alleged senior leader of the Indonesian Islamic State-linked militant outfit Jamaah Ansharut Daulah (JAD), which has been blamed for several recent deadly attacks. A 50-year-old Filipino suspected of recruiting people to join Abu Sayyaf was arrested in Kuala Lumpur.